The Pursuit. If it was the title of heist movie, it would be about cops in pursuit of robbers. If it was a crime thriller movie, it would be about the pursuit of unraveling the mystery of whodunit. Or if it was a rom-com, it would be about the pursuit of long-lost or unrequited love. 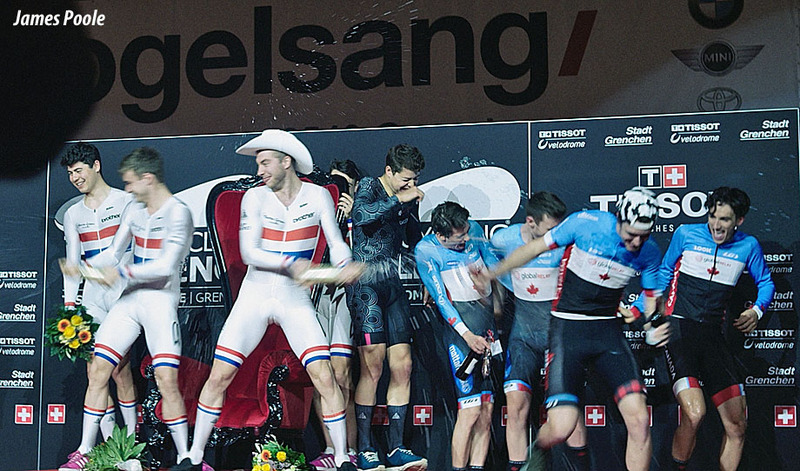 But in this case, The Pursuit is actually a double entendre: it’s a documentary about four British riders’ pursuit of glory on the boards in the team pursuit. Rodeo Jonny or track rider Jonny? As an aside, I could relate to Team KGF because – although not at the same level as Tanfield, Tipper, Bigham, and Wale – that’s exactly what and I three friends (Sam Bishop and brothers Paul and Dave Cascio) did when we competed in the first-ever Team RAAM (Race Across America) in 1992 after reading a blurb in Bicycling magazine and – over beers – claiming, “We can do that!” We self-financed our adventure on a shoestring budget of $5,000 (compared to $50,000 for the winning team). 7 days, 2 hours, and 39 minutes will forever be etched in my brain. I don’t want to give the entire plot away or introduce any spoilers, but suffice to say that it’s a bit of a “rags to riches” cycling story. The boys go from virtual unknowns to British national champions to competing on the world stage and winning gold at a UCI World Cup event. • They lived together in Derby and trained at the velodrome there as their scheduled permitted. 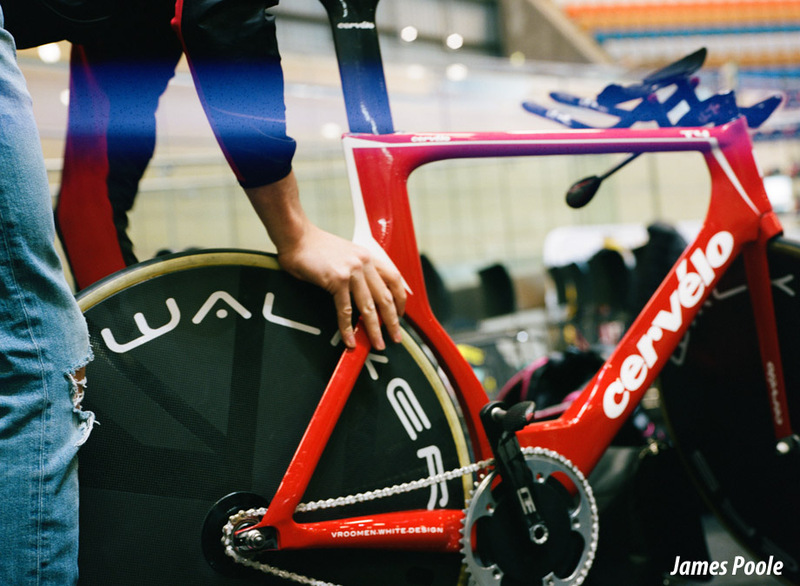 • They had a coach, Mehdi Kordi, who helped focus and organize their training, but essentially they built their own training programs based on their riding and schedules. Knowing that the four of them probably didn’t comprise what many would an “ideal” 4-man pursuit team if you were building one from scratch, their approach was more about how to get the best from each rider. • They were their own mechanics. • With a background in F1, Dan Bigham used the rules to gain maximum advantage – much like Chris Boardman and Graeme Obree did in the 1990s. • The team was managed by 17-year old Ellie Green (making her the youngest team manager in the UCI!) The KGF in Team KGF is the Karen Green Foundation, a Nottingham-based charity raising funds for families of those suffering from leukemia established in memory of Ellie’s mom, Karen. As another aside, this is another reason I felt “connected” to The Pursuit. When we did RAAM in 1992, we rode and raised money for the Leukemia Society of America and our team “mascot” was a young girl, Elizabeth Boaz, who had leukemia. I’m happy to be able to say that Elizabeth is now a grown woman with a family of her own. Doing it their way paid off for Charlie Tanfield, Jacob Tipper, Dan Bigham, and Jonny Wale. 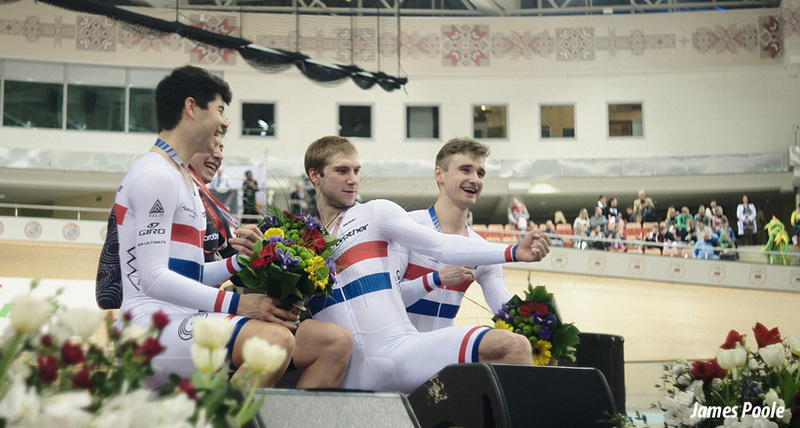 They clocked 4 minutes 4 seconds (a competition record) to win the pursuit at the 2017 British national track championships, set a goal of being able to ride 3 minutes 57 seconds, and within 12 months ended up riding 3 minutes 56 seconds to win a UCI World Cup track event. For me, what made The Pursuit refreshing was that it was – in many ways – an antithesis to Sky’s marginal gains approach. Indeed, according to Dan Bigham, they were after “massive gains,” a term coined by Jonny Wale. Certainly, being able to go from 4:04 to 3:56 is nothing short of a massive gain. Finally, I just have to say that I love the look and feel of The Pursuit. It must have something to do with James Poole being a British film maker and my fondness for a lot of British movies and TV (I’m a big fan of Luther and recently binge-watched The Bodyguard when it was released on Netflix in the US). Documentaries – even when they’re good stories – can often be “difficult” to watch because we’re so used to watching “regular” movies. Not so with The Pursuit. 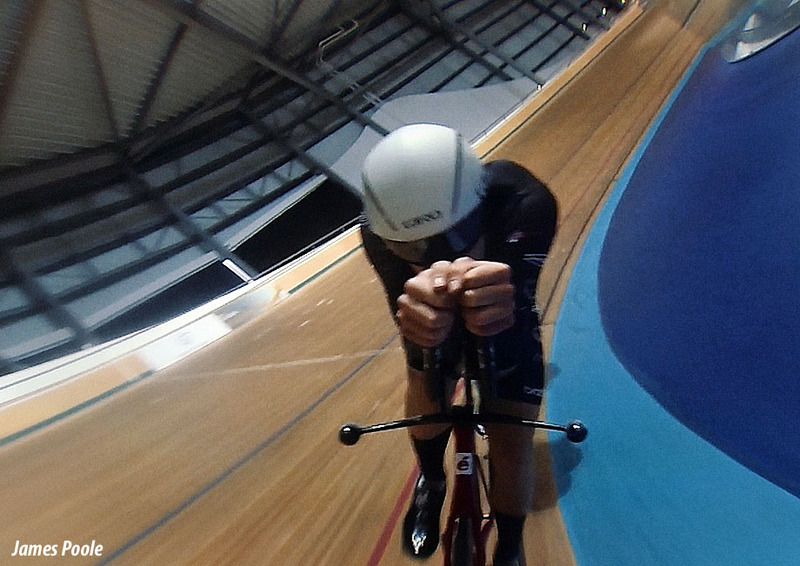 THE PURSUIT from James Poole on Vimeo. PEZ contributor Chuck Peña is a former weekend warrior racer who now just rides for fun and coffee, but every once in a while manages to prove Fausto Coppi’s adage true: Age and treachery will overcome youth and skill. He lives in Arlington, VA with his wife (who is his favorite riding partner), his daughter (who takes great joy in beating him at golf all the time, but at least he’s still faster on a bike), and their dogs (who are always there to greet him when he comes home from a ride). You can follow him on Twitter and on Instagram.